Today's post is by Rob McClung, Seattle Opera's Community Programs Manager. Rob will be audio-describing today's matinee performance of Rigoletto for visually-impaired patrons; contact an usher if you'd like a headset. The image of Verdi we have come to know best—that of the old man with a farmer’s cap and a twinkling eye—aligns with the self-image he carved in his correspondence: a simple man from the country, one who never professed erudition in lofty matters of philosophy or aesthetics. Verdi eschewed theory in favor of intuition, and when it came to operatic composition, he proudly followed his theatrical sensibilities. Never did he feel his intuition was more on target than when he discovered the character of Triboulet in Victor Hugo’s drama Le Roi s’amuse. It is a joy to read Verdi’s correspondence from the early months of 1850 because his enthusiasm is positively infectious. Take, for example, a letter of May: “Oh, Le Roi s’amuse is the greatest subject and perhaps the greatest drama of modern times. Triboulet is a creation worthy of Shakespeare!! !” Hugo’s hunchback lit a flame in Verdi’s heart. Never before or after was Verdi so inspired by a single character, a character he described as outwardly ugly and ridiculous, but inwardly impassioned and full of love. 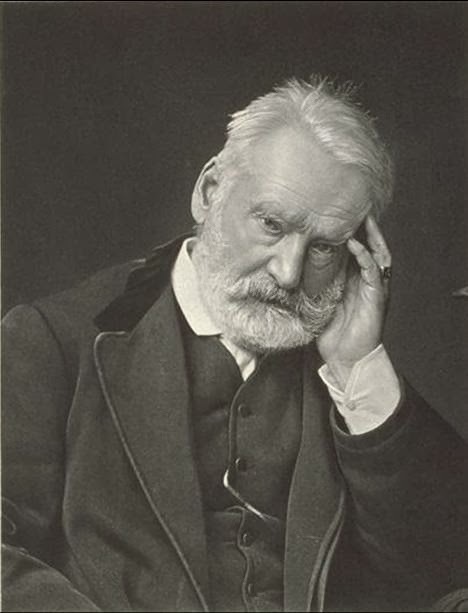 Americans know Victor Hugo (left) as the novelist of Les Misérables and The Hunchback of Notre Dame; his prolific output of poetry, drama, and critical writings are less known in this country. Yet once we thumb through the pages of Hugo’s dramatic work, we see why Verdi invoked Shakespeare in his comparison, for Triboulet was inspired by the very characters Hugo found in the works of Shakespeare. In their reverence for the Bard, Verdi and Hugo were kindred spirits. Verdi claimed his admiration of Shakespeare extended from boyhood, and he affectionately referred to Shakespeare as “Papa” in conversation and in correspondence. It is said that two copies of the complete works remained constant bedside companions: the Italian translation of Carlo Rusconi (prose) and that of Giulio Carcano (prose and verse). His love of Shakespeare led Verdi to adapt Macbeth for the theater in 1847, a love that lit without ever having seen a Shakespeare play performed: Verdi’s first experience of Shakespeare in the theater came shortly after Macbetto’s premiere. He was 34 years old. Shakespeare became extremely popular in Europe in the early nineteenth-century, and Verdi and Hugo were among the many artists of the Romantic generation who saw his works as models for contemporary drama, alternatives to the Neoclassical dramatic tradition that dominated the eighteenth-century. Hugo was highly critical of the ideals and aesthetics that governed Neoclassical drama, and his opinions made their way into lengthy prefaces of his dramas such as Cromwell (1827), in which he encouraged writers to take after Shakespeare by dramatizing subjects inspired from nature—from the world around us in all its imperfections. Hugo (and Verdi) admired Shakespeare’s ability to deftly combine the comic and the tragic to contrast pure and graceful characters such as Ophelia and Desdemona alongside characters such as Polonius and Iago, men who embraced passion or vice; who were greedy, sensuous, or hypocritical. Hugo quipped, “The beautiful has but one type, the ugly has a thousand.” Verdi agreed, and strove in his own work to create a dramaturgy more akin to that of Shakespeare’s. By so doing, he hoped to circumvent the monotonous, formulaic dramatic schemes of his Italian contemporaries. Copying from what is real may be a good thing, but inventing what is real is better, much better. There seems to be a contradiction in these words, ‘invent what is real,’ but ask Papa. It is possible that Papa had come across somebody like Falstaff, but it is unlikely he ever met anyone as evil as Iago, and never, ever angels like Cordelia, Imogen, Desdemona, etc., etc., and yet they are so real! To copy from what is real may be a good thing, but it is photography. It is not painting. So how did Verdi “paint” Rigoletto, rather than merely “photographing” him? In opera, we must delve into both the libretto and the score to understand how a composer and librettist handle musical characterization. It is not unlike the assembly of a collage: each musical number serves as a slip of paper that reveals one aspect, but with each subsequent musical number, something new is revealed, a new brushstroke touches the canvas. Stand closely to the image, and one might see a series of abstract shapes. Take a few steps back, and the meaning of the whole becomes clear. E.M. Forster described characters in literature as either flat or round; examining a character like Rigoletto is more akin to observing each individual side of a diamond. Rigoletto was always the opera for which Verdi had a soft spot—and I think it is because he felt most closely allied to Hugo and Shakespeare during its composition. Rigoletto certainly feels like watching a play. 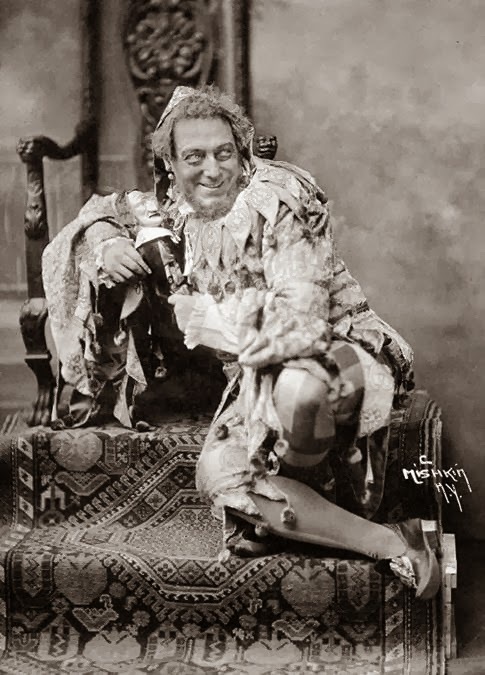 Each time I have the opportunity to see it in performance I think of the enthusiasm that Verdi held for his title character, an inspiration that, like some airy spirit, must have made its way into the score itself, for when I listen to Rigoletto, I hear not only the music: I hear Verdi’s heart beating in every measure.